It's hardly surprising that “Garage Door Repair Little Ferry” has expert teams for all types of openers. We're renowned for our expertise to repair and replace electric garage systems primarily thanks to our excellent and profound knowledge of all types of Garage Door Openers. Of course, this is the result of hard work and constant updating with the latest news from Liftmaster and Genie. As the leading manufactures in opener systems, they introduce great products in the market and our professionals keep up with these changes, adopt them and train accordingly. Of course, our business can order the most reliable and modern openers for its clients. We even take one more step and provide full assistance to the people interested to replace the current chain drive opener with a modern one. We're also here to inform you about the variations of models, their differences and their capacities. We can install the most complicated belt drive opener and our garage door repair services are offered to all commercial and residential customers. 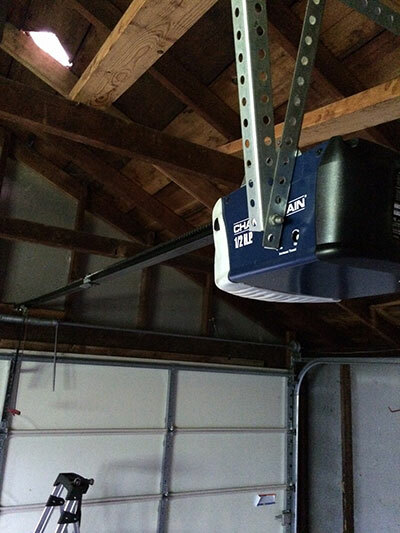 You can be sure of our skills to install new Garage Door Openers with efficiency. We're not solely accurate and careful but we give equal attention to the regulations by UL 325 and make sure the new Marantec, Sears or any other brand products comply with these guidelines and our service ensures your safety. For this reason, you'll see the technicians of Garage Door Repair Little Ferry checking and rechecking the sensors of your new or old opener and that is also the reason why we suggest frequent sensors and opener maintenance to our clients. We care about your safety and we can prove it by our devotion. We always provide top products and these will also include usual opener repair parts. In fact, we carry common and useful equipment in our vans and that's the way to guarantee fast services. We're 24 hour technicians and offer the maximum of our capacity in order to ensure that your opener will perform perfectly, be convenient and safe. Get in touch if you need further information or assistance!